Originally unveiled at SIHH 2012, the Piaget Altiplano Skeleton boasts the thinnest mechanical skeleton movement in the world (2.40 mm). 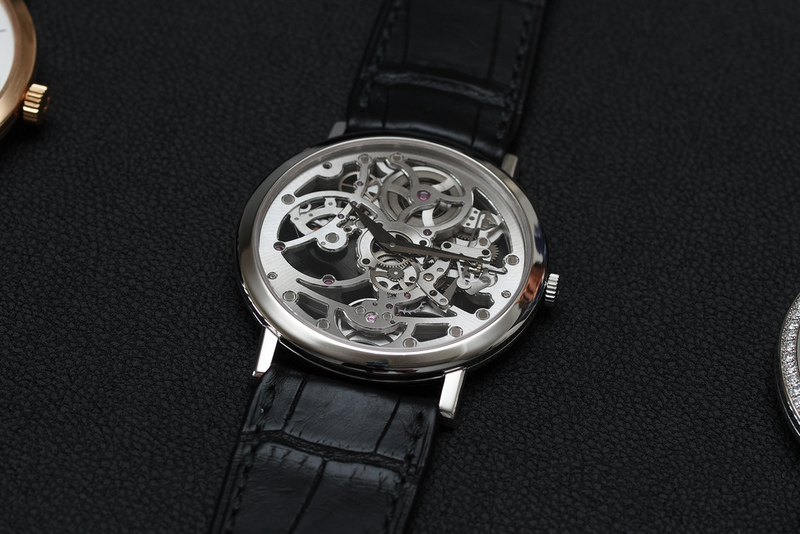 It is also the thinnest automatic skeleton watch in the world. Record breaking dimensions are, of course, nice, but does it look good? That is what really matters, and in that regard, I think the Altiplano Skeleton delivers. The case measures 38 mm in diameter by 5.40 mm thick and currently only comes in one material, 18K white gold. The bezel, lugs and flanks are polished, which contrasts nicely with the brushed skeletonized dial. 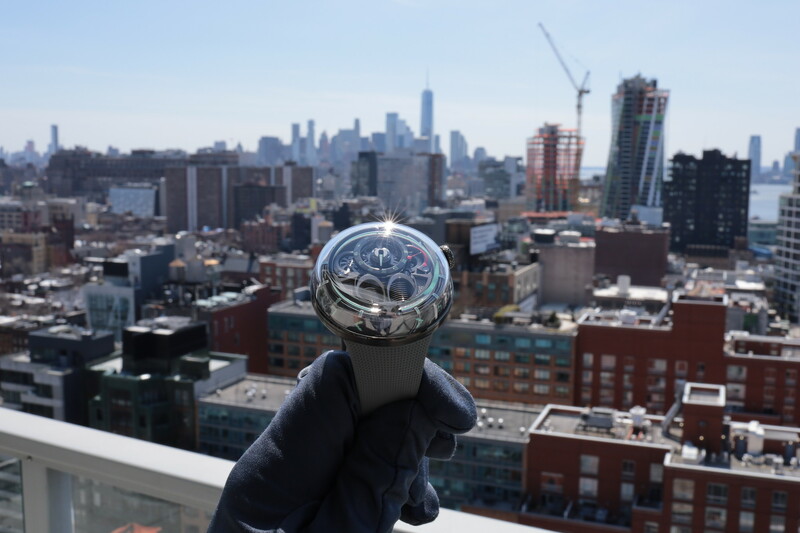 The case back is clear and allows a perfect view into the back side of the superbly finished ultra-thin 1200S movement, which is based on the record breaking 1200P movement (2.35 mm). Ultra-thin movement production is not a complication by definition, however, many watch experts consider the expertise required to create such thin movements, a complication in itself. According to Piaget, finding watchmakers able to work on the ultra-thin movements, is even harder than finding watchmakers able to work on non-thin movements, which if you know about watchmaking, you know is already quite a task. The 1200S caliber skeleton movement has been carefully hand engraved and hollowed, which is incredibly difficult considering any minor error could sacrifice the robustness of the movement. The bridges are decorated with alternating matte surfaces: sun-brushed and sand-brushed, which contrasts the polished edges. 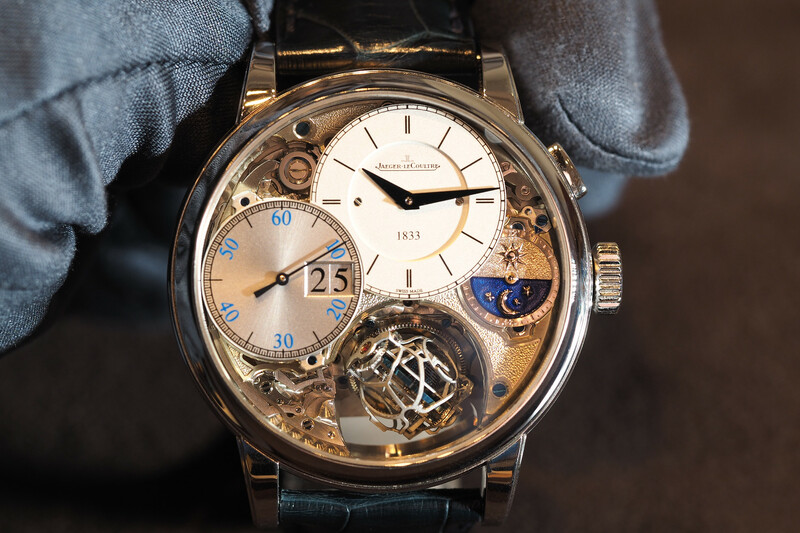 Every detail is consistent with haute horology standards across the industry, from hand beveling, to screws which are blued the traditional way. The hands and platinum mono-block micro-rotor are in black. 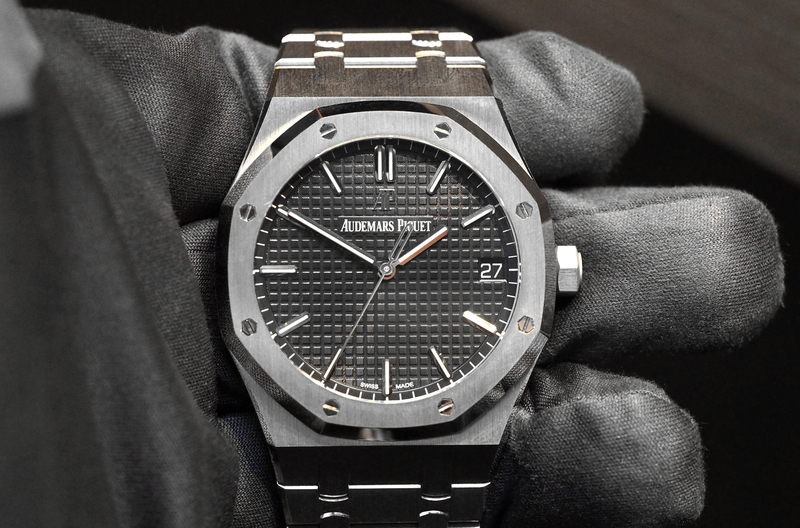 Instead of a signed the dial, “Piaget” is engraved on the micro-rotor, visible on the dial side. Amazingly, apart from the lack of a seconds hand, caliber 1200S has many of the specifications you’d expect from a typical full sized automatic movement: a 40-hour power reserve, a 21,600 vph (3Hz) oscillation rate, 26 jewels and excellent reliability. Black alligator strap with 18K white gold buckle. Water-resistant to 30 meters.